There was a Beacon Garage at this location from 1931 until the building was demolished in 2009. Prior to 1931 a stable, called the West End Stable, was located here from 1901 to 1911. The buiding was used by the Imperial Motor Vehicle Co. (1911) and the Superior Motor Garage Co. (1912-1918). Then from 1921 through 1930 Buick Motor Co. used the building for a new car warehouse and service center. 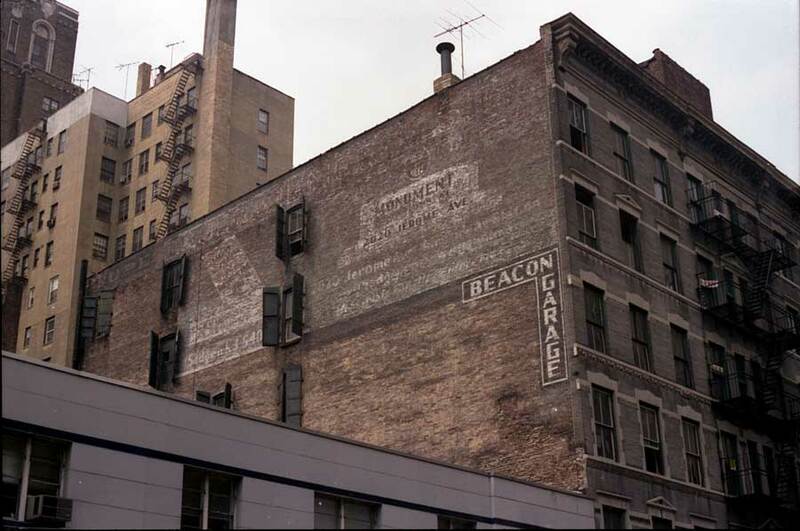 In the 1933-34 Polk New York City Directory owner/operator of the Beacon Garage was Carroll W. Rasin. A possible identification of Rasin is Carroll Wilson Rasin (1881-1940), who registered for the World War I draft in 1918, age 37, born 4 June 1881, living in Baltimore, Maryland. In the 1930 U. S. Census Carroll Wilson Rasin was an inmate at the Maryland Penitentiary, Baltimore. Presumably it was after release from prison that he came to New York and became owner/operator of the Beacon Garage. Carroll W. Rasin also seems to have been a minor political figure in Baltimore and president of the Baltimore Terrapins, a baseball club in Baltimore. The Terrapins were a Federal League franchise that competed with the Baltimore Orioles of the International League. A Find-A-Grave entry seems to locate the same Carroll Wilson Rasin at Green Mount Cemetery, Baltimore.